What fun! 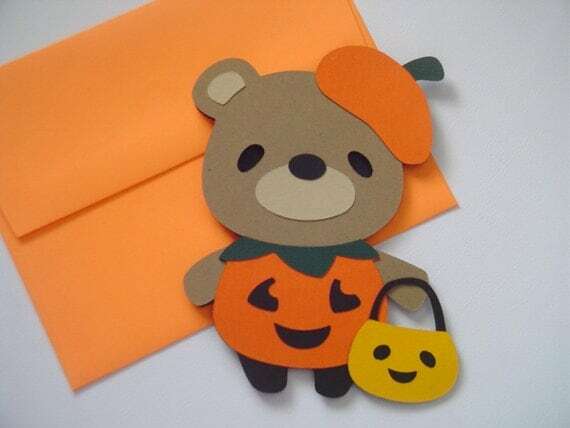 A teddy bear all dressed up to go trick or treating wearing a pumpkin costume! 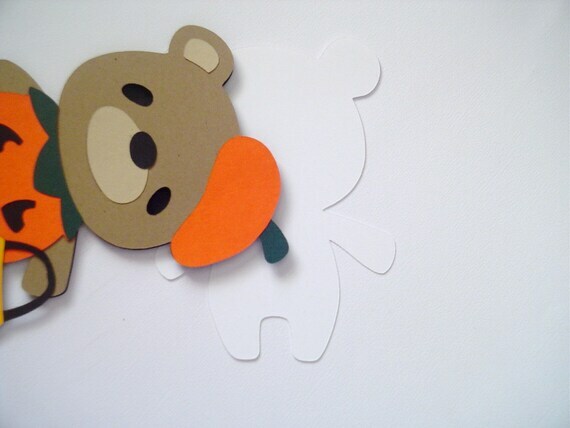 The teddy bear is cut from black, tan, brown, orange and green card stock. He is sporting an orange pumpkin costume and his hat is the top of the pumpkin. 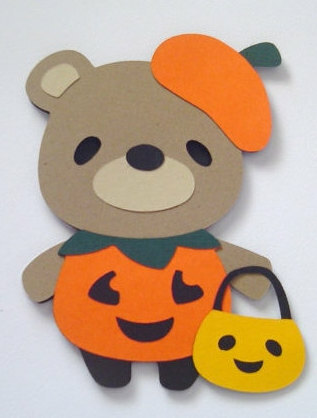 He is holding a pumpkin shaped trick or treat bag. The teddy is dimensional and is joined at the left ear with a brad. The inside of the card is white and has been left blank. The card measures 4 1/2" x 5" and comes with an orange envelope.